Is your car leaving puddles on your driveway? If the puddle is a red liquid, then it is transmission fluid. For most vehicles, red dye is added to the transmission fluid to distinguish it from the other fluids in your car. Transmission fluid is vital to your car’s shifting gears. If your transmission fluid runs low, you could have major problems. While it might be a small spot on your driveway, when you are driving and the transmission is under pressure, even more fluid may be spreading on the roadway. Most cars have a dipstick for checking transmission fluid levels. 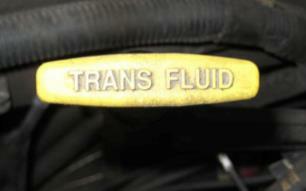 In some cases the auto manufacturer has labeled the transmission dipstick to avoid confusion with the oil dip stick. See Routine Transmission Checkup for the procedure for checking your fluid level. Oil is brown and transmission fluid is bright red and slightly sweet smelling when it is new. 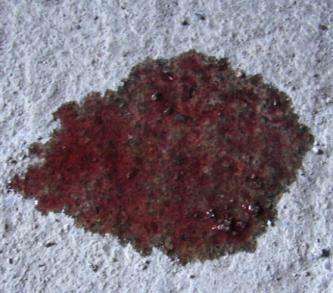 As transmission fluid ages it turns a darker red or even black and may have a burnt smell. It may turn pink or tan if antifreeze has leaked from your radiator. If the fluid is dark red or smelly, the fluid should be replaced to lengthen the lifetime and performance of this vital component of your car. Replacing the fluid and flushing the transmission also cleans out fine metal particles that shorten the life of your transmission. See: Transmission Flushing And Fluid Replacement. If the fluid is low, please stop by and have us do a quick check of the transmission to look for leaks. Transmissions aren’t like engines that can burn oil and the fluid in your transmission isn’t likely to evaporate. So if the fluid is low, you probably have a leak. Even if all you want to do is top off the fluid, manufacturers have different recommended fluids and the wrong one will damage your transmission. If you try to do it yourself, you’ll have another partial container of fluid aging on a shelf in your garage. If the fluid level in your transmission is low, there is likely a problem. Generally the leak comes from a broken seal, cracked fluid line or a leaky torque pump. Sometimes the transmission had been serviced previously and mistakes were made in reassembling the pan allowing it to eventually leak. Obviously since we are a shop that specializes in transmissions, we think you should let us take a look at your problem and give you a free estimate. If you take your car to another repair shop or dealer, get a written estimate and bring that back to us. We won’t charge any more than a competitor’s written estimate and often we charge less. The thing you should not do is to resort to using additives to address the problem. 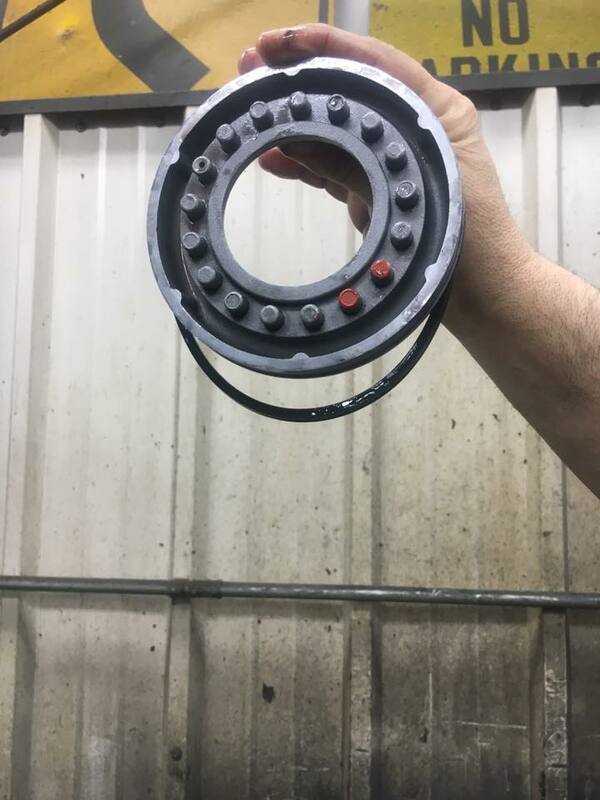 That “quick fix” $15 dollar bottle could attack the rubber in seals inside the transmission resulting in damages that will cost you far more than a repair conducted by a competent, experienced transmission specialist.